Damage threshold of AR coated DKDP surface >5 J/cm2 at 1064 nm, 10 ns pulses. DKDP crystals are used for second harmonic generation of high pulse energy low repetition rate (<100Hz) Q-switched and mode-locked Nd:YAG lasers. Cut angle of crystal for operation at room temperature is 36.6 deg for Type 1 phase matching and 53.7 deg for Type 2 phase matching. DKDP crystals are used for third harmonic generation of high pulse energy Q-switched and mode-locked Nd:YAG lasers via sum frequency generation. Cut angle of crystal for operation at room temperature is 59.3 deg for Type 2 phase matching. Type 1 DKDP crystals with non-critical cut angle theta=90 deg are used for fourth harmonic generation (532nm → 266nm) of high pulse energy Q-switched and mode-locked Nd:YAG lasers. Crystal must be heated at ~50 deg C temperature to match NCPM conditions. Type 1 KDP crystal with close to non-critical cut angle theta=76.5 deg is used for fourth harmonic generation (532nm → 266nm) of high pulse energy Q-switched and mode-locked Nd:YAG lasers. KDP crystal has lower absorption at UV wavelengths comparing to DKDP. KDP thin crystals are used for second harmonic generation of Ti:Sapphire laser radiation or pulse duration measurement in single shot autocorrelators. KDP possesses ~2.4 times larger spectral acceptance and correspondingly smaller group velocity mismatch comparing to BBO crystal for SHG of 800 nm, what sometime is very critical parameter for femtosecond wide spectrum pulses. 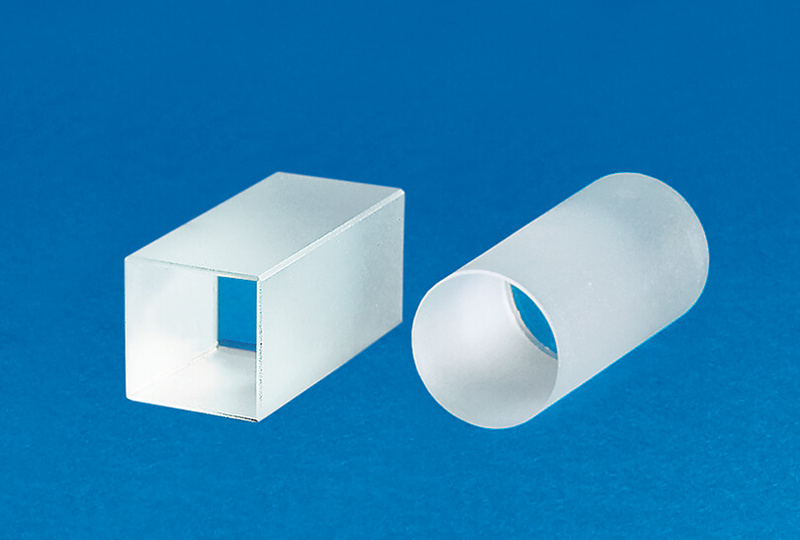 KDP crystals can be supplied by EKSMA OPTICS of aperture up to dia 80 mm. Actually KDP remains the only solution for harmonic generation of very high intensity femtosecond Ti:Sapphire lasers featuring sub-tera Watt or tera Watt peak power pulses in large >30 mm diameter beams.